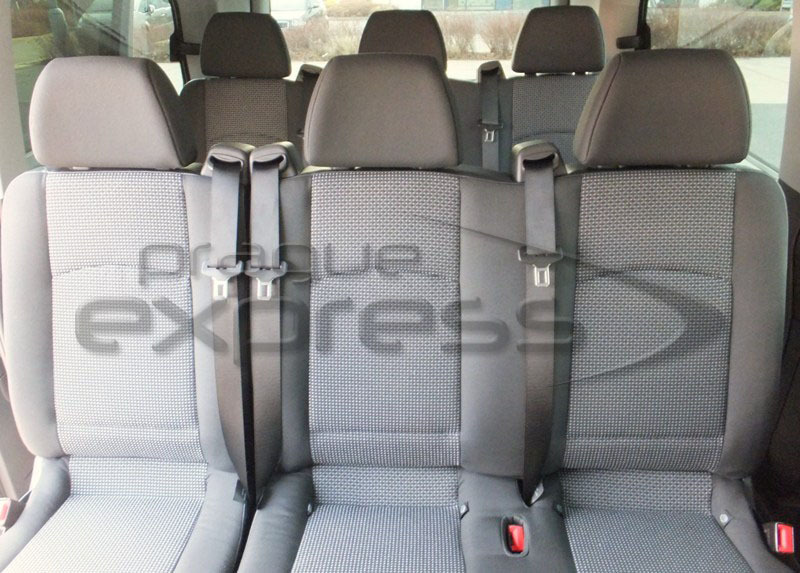 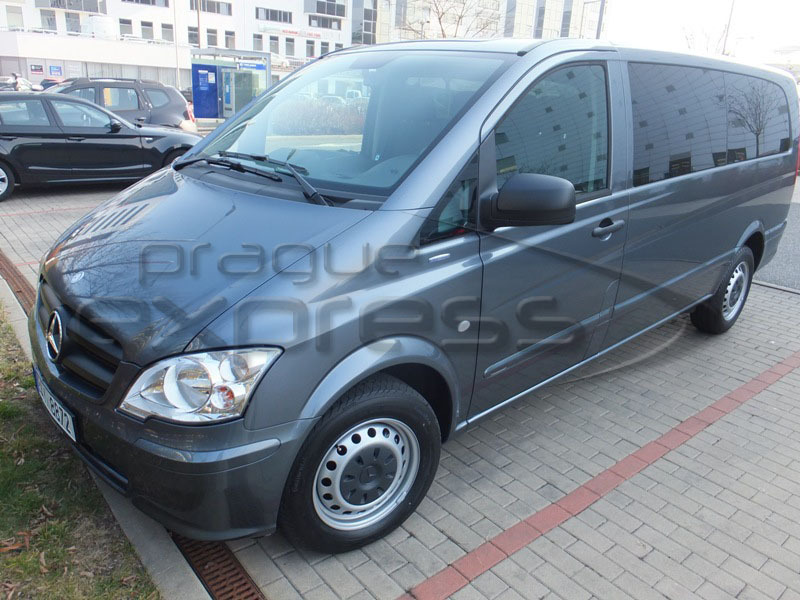 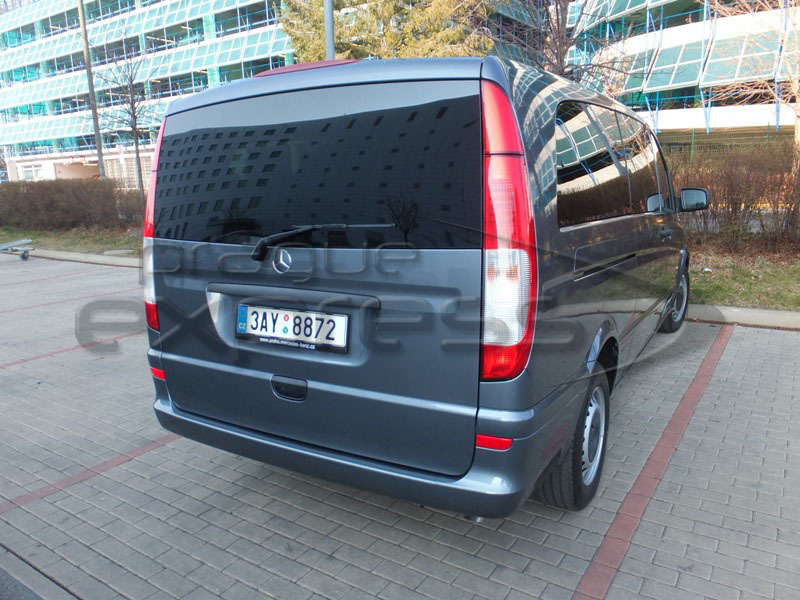 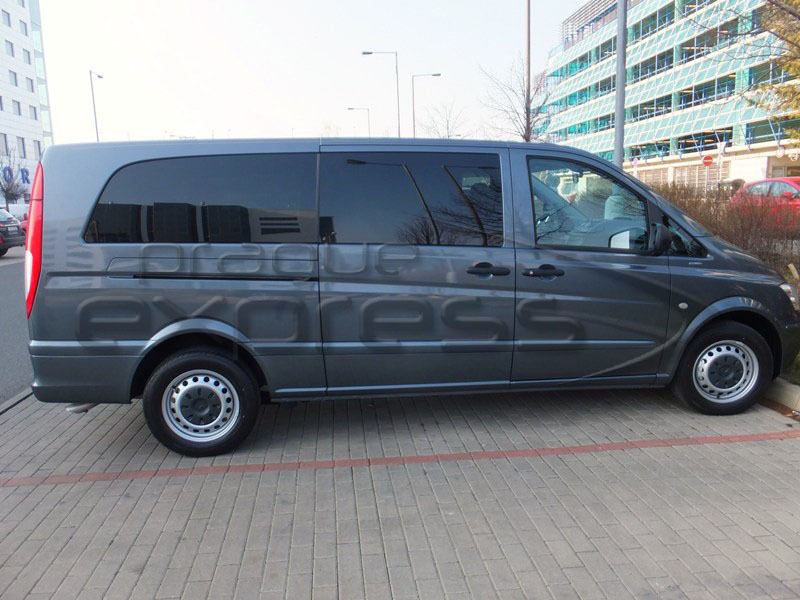 Prague Express offers rental of minibuses Mercedes-Benz Vito with driver for transportation of groups of up to 8 people in Prague, the Czech Republic and Europe at bargain rates. 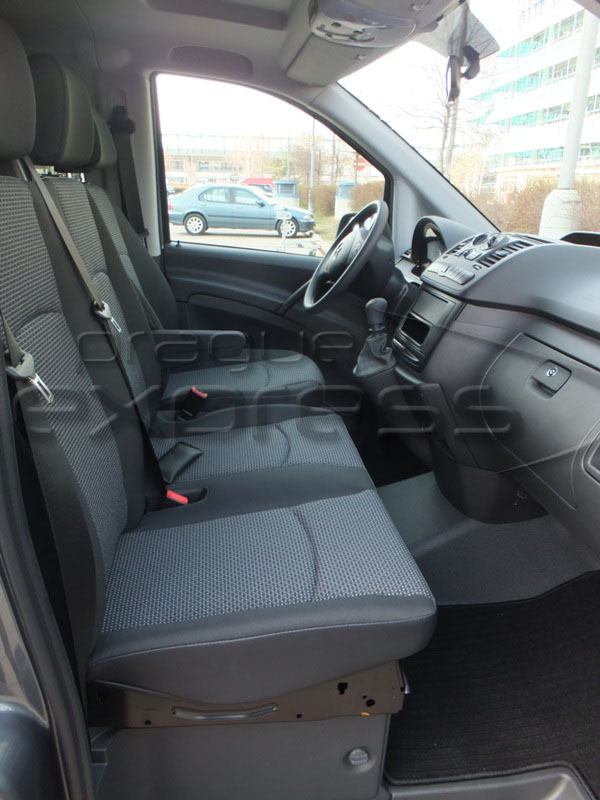 Interior and equipment of the minibuses: radio and microphone, additional climate control system in the passenger cabin, panoramic blacked out windows, prolonged version - enlarged luggage compartment, capacity for bicycles and skis transportation. 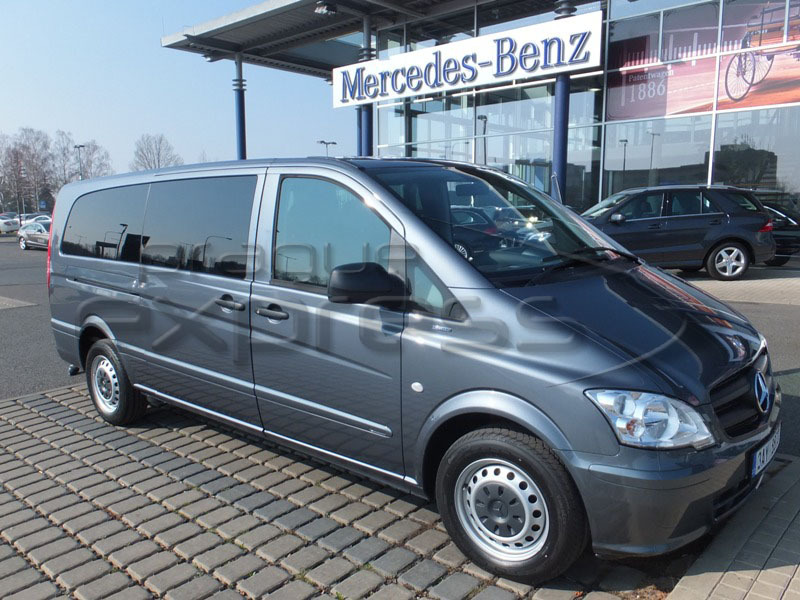 Minibus rental with driver is a perfect solution for transportation of top management or foreign delegations, wedding guests, tourist excurions and private tours, transfers of small groups to the airport or Czech and European resorts, any kind of long-distance passenger transportation, and for those who prefer to travel with comfort, or a lot of luggage. 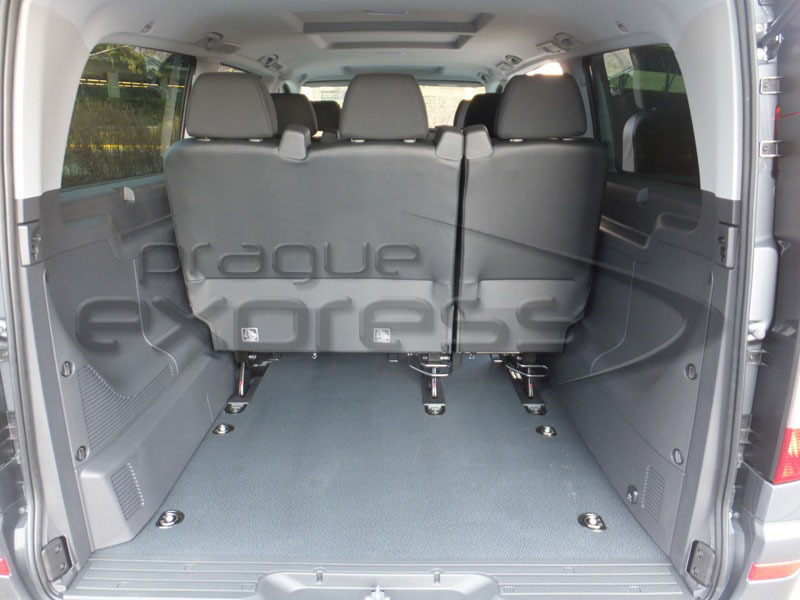 Due to special passenger cabin construction, transportation of skis and even bicycles is possible.